Philadelphia's very own Pharho is a rising star who's setting his sights on making an impact in the industry. Skoli of Skope Magazine described him as "a versatile and highly talented artist who does it all from being an emcee to writing and producing." He recently released an instrumental mixtape "Knock On Wood," to build anticipation for his sophomore mixtape "Summers Eve 2," scheduled for release in the summer of 2018. Pharho aka Shayne Witherspoon was born on February 20th, 1990 in Philadelphia. He states that growing up in Philadelphia was like the popular saying, "If you can make it in Philly you can make it anywhere." Pharho started pursuing music at the age of 17. He cites artists such as Nas, 2Pac, Pharrell, and Timberland as influences. Not only is Pharho an accomplished creative talent; he is also a highly educated musician. He earned a Masters in Education from Relay GSE in 2018. 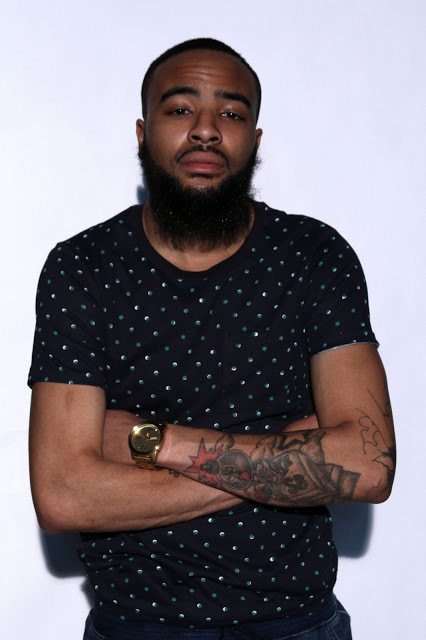 After receiving his bachelor's from Cheyney University of Pennsylvania he joined Alpha Phi Alpha, Inc. His deep love for the fraternity influenced the birth of his stage name Pharho. He states "Pharho was giving to me when I joined the fraternity Alpha Phi Alpha fraternity incorporated. It was my line name “Pharho’s Phinest”. I shortened it to Pharho. Meaning I have crossed the burning sands and I am now a GOD/KING. As a young king, I treat others and myself with respect." To date, Pharho has released one mixtape and one instrumental tape "Knock On Wood." A second mixtape "Summers Eve 2," is scheduled for release in the summer of 2018. He is currently wrapped in promotional activities to support the upcoming E.P and regional tour. Pharho is a teacher at Mastery Charter School. He continues to strive to become a known voice in the industry, utilizing his gifts and abilities to gain a positive band of followers.